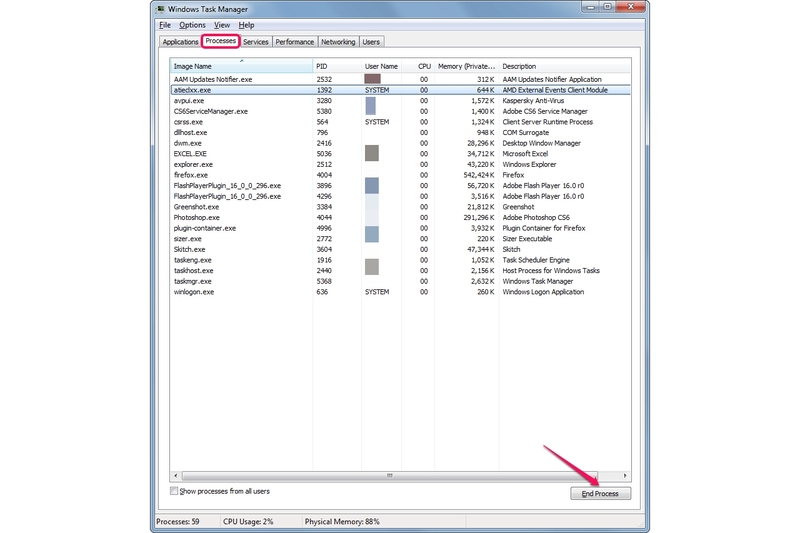 Use the Task Manager to view all processes, services and programs that are running on your Windows 7 computer. The utility also displays computer performance data and presents information about your Internet connections and connected users. 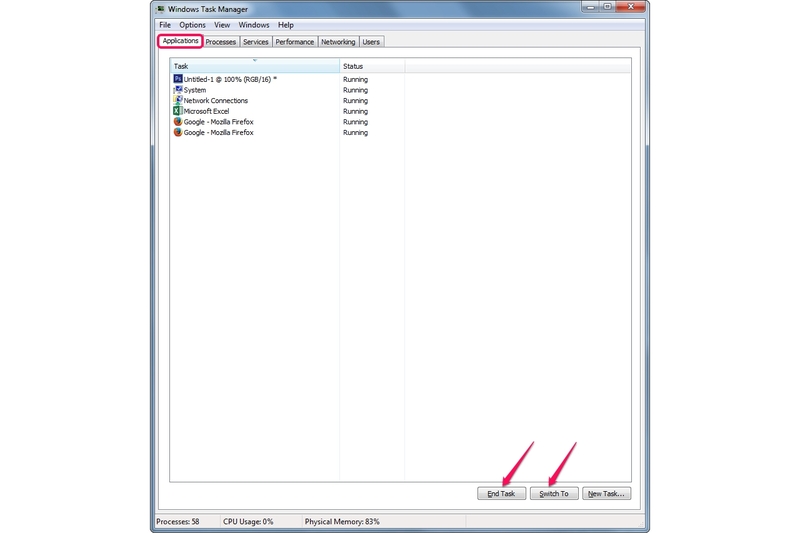 Using the Task Manager, you can close frozen programs or terminate processes. 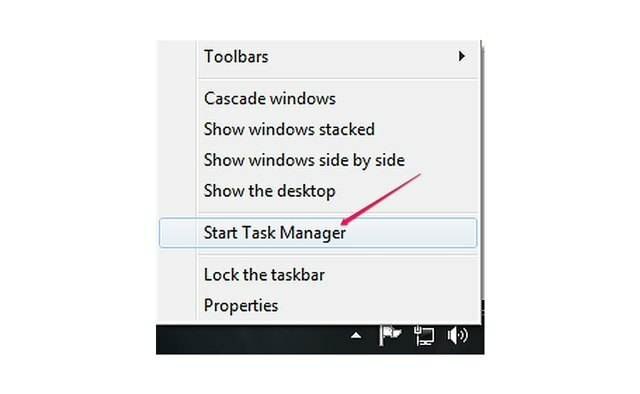 In many cases, using Task Manager to close a program that's not responding saves you the trouble of restarting or resetting the PC. 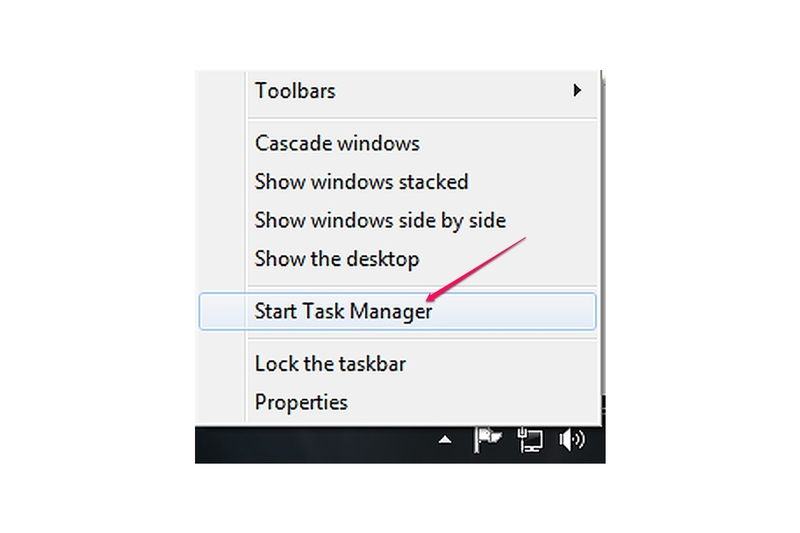 Right-click on the taskbar and select "**Start Task Manager**" from the context menu to launch the Task Manager. Alternatively, press "**Ctrl-Shift-Esc**" to launch the utility. Select the "**Applications**" tab to view all applications that are running on your computer. 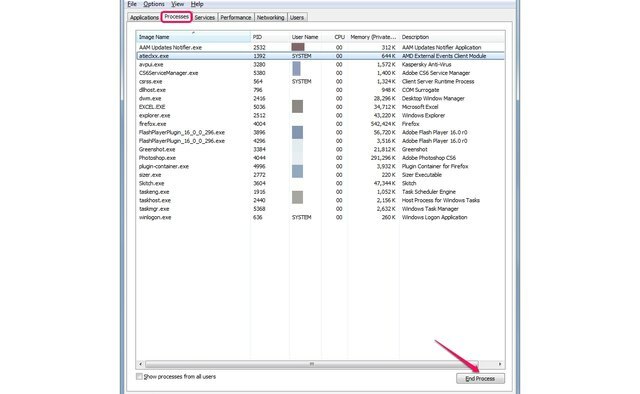 To close an application, select it and click the "**End Task**" button. You can switch to an application and display its window by selecting the program and clicking the "**Switch To**" button. 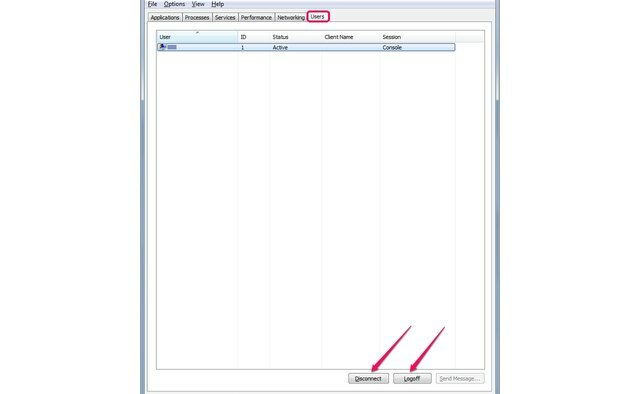 To launch a program, open a folder or a document, or open an Internet resource, click the "**New Task**" button. Select the "**Processes**" tab to view all processes that are currently running on the computer. 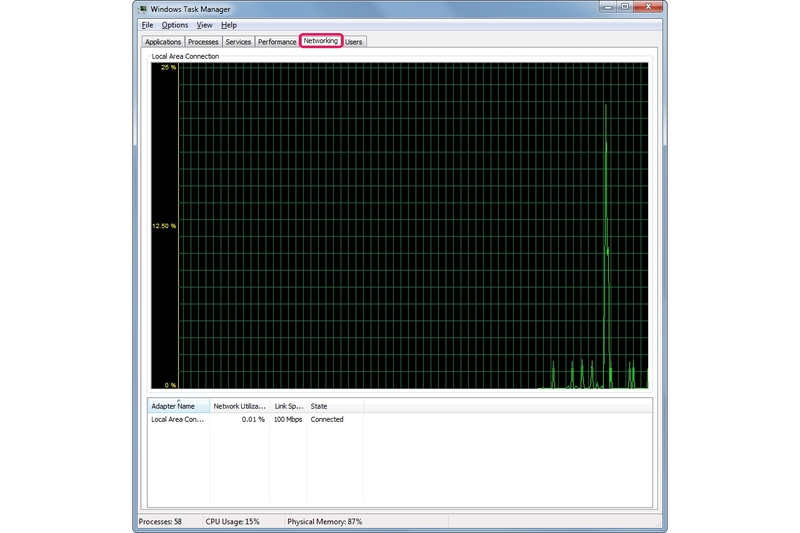 The amount of CPU used by each process displays in the CPU column, while the program's memory usage displays in the Memory column. 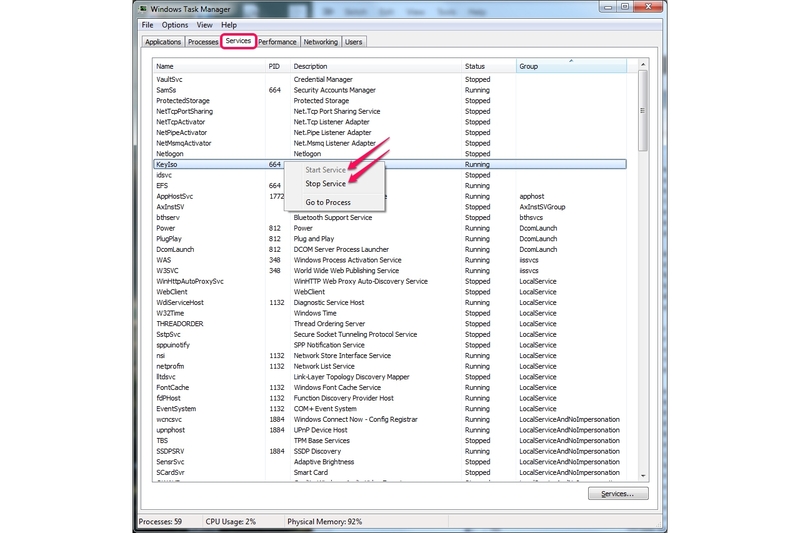 The CPU column's entries can help you determine which processes use the most CPU power; frozen programs often consume a lot of power, slowing down your computer. 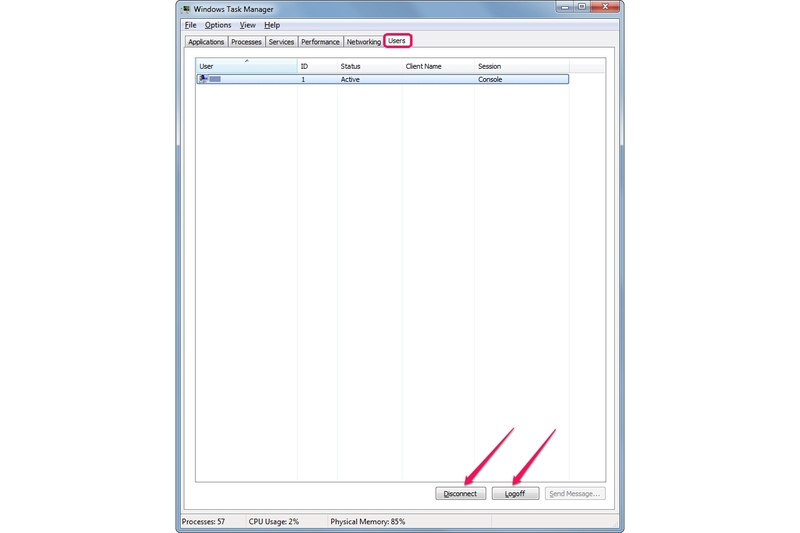 The Memory column helps you see which processes consume too much RAM -- if the RAM fills up, your system performance begins to degrade. You can close any process by selecting it and clicking the "**End Process**" button. To locate the program that created a specific process, right-click the process and select "**Open File Location**" from the context menu. Select the "**Services**" tab to view all Windows services. Services are applications that run in the background. Unlike programs, services don't have a user interface. Some of them are running, while some are stopped -- you can see their status in the Status column. To start or stop a service, right-click it and select "**Start**" or "**Stop**" from the context menu. 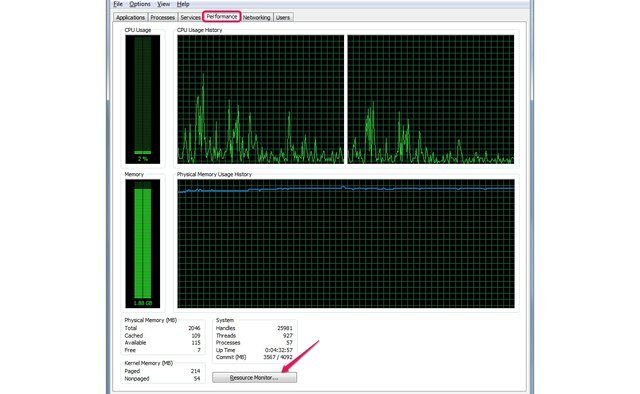 Select the "**Performance**" tab to view detailed information about the performance of your computer. 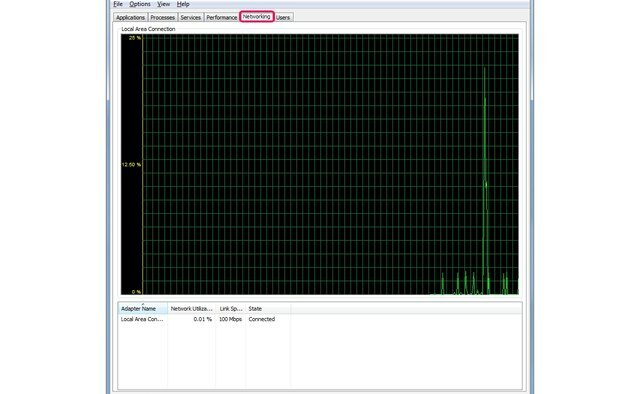 You can see the CPU usage, the physical memory usage and the amount of free physical memory. 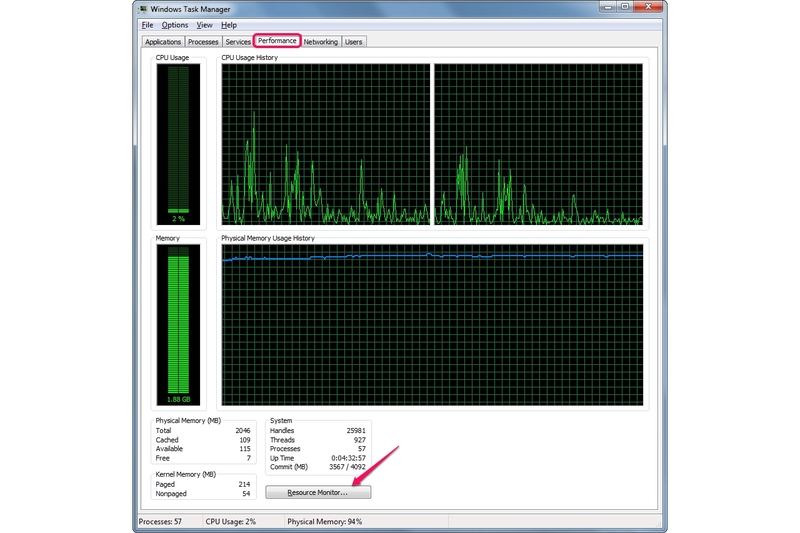 Launch the Resource Monitor utility by clicking the "Resource Monitor" button. This utility displays data about the critical systems -- _CPU_, _memory_, _hard drive_ and _network_ -- of your computer. Look at the **"Up Time"** section if you want to know how long your Windows system has been running since the last reboot. Select the "**Networking**" tab to view detailed information about your wireless and wired network connections. The bottom section displays the state of the various connections and their link speed. 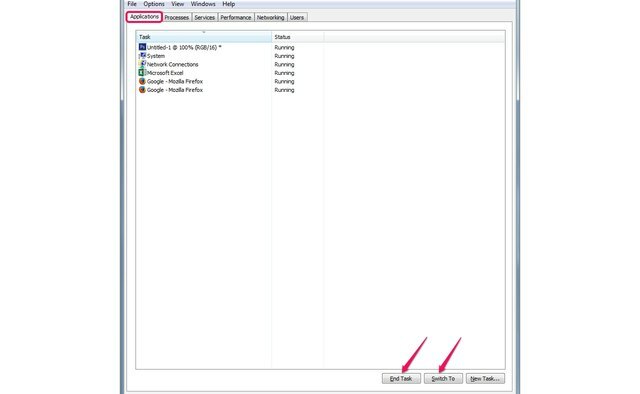 View all users logged in to your computer by selecting the "**Users**" tab. The name of the user is displayed in the User column and his status -- _Active_ or _Inactive_ -- is displayed in the **Status** column. Select any user and click "**Logoff**" to log him off. Send a message to another user by selecting him and clicking "**Send Message**." Closing operating system processes from the Processes tab may lead to problems with some programs or to a fatal system error. 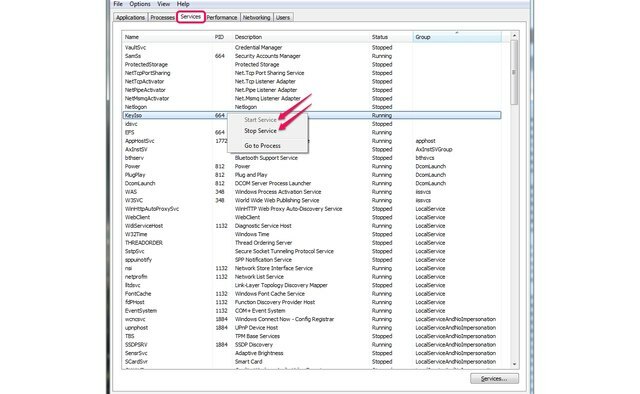 Stopping services from the Services tab may cause various parts of the operating system to malfunction.